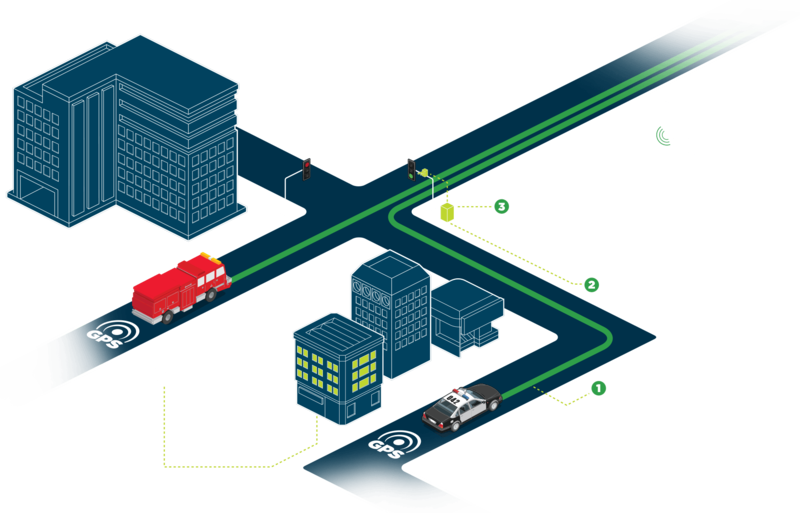 Global Positioning System (GPS) technology and highly-secure radio communications power the Opticom GPS-enabled platform − a robust, secure Emergency Vehicle Preemption (EVP) solution from GTT. GPS-enabled systems offer unmatched precision and superior management capabilities that will allow your department to respond quickly and safely to emergency situations. The platform brings together a combination of proven hardware, advanced software and comprehensive services to maximize resources and your investment. Built on more than 45 years of Opticom signal priority performance and reliability, the Opticom GPS-enabled platform helps ensure safer, faster on-scene arrival for departments of any size.